We remember this in the Lord's Supper (or Holy Communion), celebrated at our church the first Sunday of each month. We practice an open communion, in which all who believe in Christ are welcome to the table. 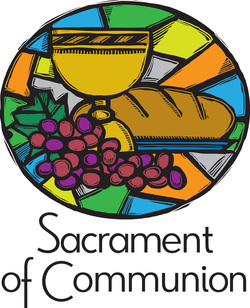 On Communion Sundays, the Sunday School students go directly to class at 9:30 and join us for Communion at the end of the service. Our next celebration of the Lord's Supper will be on Sunday, April 12th.